Discovery the Irish in you this St Patrick’s Day – with a little bit of whiskey, trust me, you’ll find it! For over 1000 years, the Irish have celebrated their patron Saint, Saint Patrick, on March 17, the anniversary of his death. Irish families would traditionally attend church in the morning and celebrate in the afternoon. Lenten prohibitions against the consumption of meat were waived and people would dance, drink and feast. Today people of all backgrounds celebrate St. Patrick’s Day. But perhaps they don’t know why. Would it surprise you to learn, that more than half of Americans (51%) don’t even know that St. Patrick is the patron saint of Ireland? (SOURCE: Tullamore D.E.W. survey 2012) I wonder how many South Africa’s know that? I have always known that our family tree stretches to the green hills of Ireland – thanks to the Henderson clan on my mother’s side – and so, I have always known about some Irish traditions since I was the height of a leprechaun. St. Patrick’s Day, like Irish whiskey, has found its way around the world. Irish immigrants first celebrated their culture with poetic rebelliousness on St. Patrick’s Day in 1737 in Boston Massachusetts, and Colonial New York City hosted the first official St Patrick’s Day parade in 1762. Even the tiny Caribbean Island of Montserrat celebrates St. Patrick’s Day in honour of the proud mutineers of Irish slaves who fought a failed rebellion against their colonial masters on 17 March 1768. Ever since, in true Irish spirit, St. Patrick’s Day has been a public holiday on Montserrat – the Emerald Isle of the Caribbean. There are only two countries in the world where St. Patrick’s Day is a public holiday: Ireland and Montserrat. In Ireland, there are hundreds of St. Patrick’s Day parades in villages, towns and cities up and down the country. There is a story that Tullamore D.E.W. Global Brand Ambassador John Quinn likes to tell about a parade in a place called Cavan. It is so small that instead of the parade moving past the people, the parade stays still and the people walk past it! St. Patrick embodies the meaning of Irish True. His story is both modern and ancient, as well as humorous and poignant. He also had the courage of his convictions – much like Tullamore D.E.W.’s Daniel E. Williams, the man who had the vision to focus keenly on the craft of whiskey making. According to different versions of the story he was born and raised in either Scotland or Wales to Roman citizens, Calpurnius and Conchessa around 385AD. At the end of the 4th century, at the tender age of 16, young Patrick was taken prisoner by a group of Irish raiders and whisked across the Irish Sea, where he spent the next six years in captivity working as a lonely shepherd. His religion was his solace, and so he became a devout Christian. While not the first to bring Christianity to Ireland, traditionally he is credited with converting the country to Christianity. It is Patrick who is said to have encountered the Druids at Tara and abolished their pagan rites. The story holds that he converted the warrior chiefs and princes, baptizing them and thousands of their subjects in the “Holy Wells” that still bear this name. Even today in St Patrick’s Day church services, a hymn is sung in Irish ‘Dochas linn Naomh Padraig’ meaning faith to us St. Patrick, in praise of his efforts to convert the people of Ireland. Most of what is known about St Patrick comes from his two works; the Confessio, a spiritual autobiography, and his Epistola, a denunciation of British mistreatment of Irish Christians. There’s something in the Irish character that puts others at ease – welcoming you on the one hand, while challenging you on the other, agreeing with you but questioning you at the same time. We call it ‘Irish True’. You don’t have to be Irish or go to Ireland to celebrate St. Patrick’s Day in a way that is ‘Irish True’. Here are some easy and authentic ideas to honour the man. Start by taking the day off to celebrate with your friends and family. Even the tiny Caribbean Island of Montserrat celebrates St. Patrick’s Day in honour of the proud mutineers of Irish slaves who fought a failed rebellion against their colonial masters on 17 March 1768. Ever since, in true Irish spirit, St. Patrick’s Day has been a public holiday on Montserrat – the Emerald Isle of the Caribbean. There are only two countries in the world where St. Patrick’s Day is a public holiday: Ireland and Montserrat. Craic pronounced ‘Crack’ is a Gaelic word, with no exact English translation. Put simply, having the craic is having a good time or a laugh. You don’t have to participate in a St. Patrick’s Day parade to enjoy the craic. One way is to visit your favorite bar, screaming with character and soul, where you share great memories and a glass of Tullamore D.E.W. with great friends. Saint Patrick and his monks began complementing oral storytelling with writing. This tradition now remains in the blood of the Irish and many practice storytelling and other verbal arts in pubs. 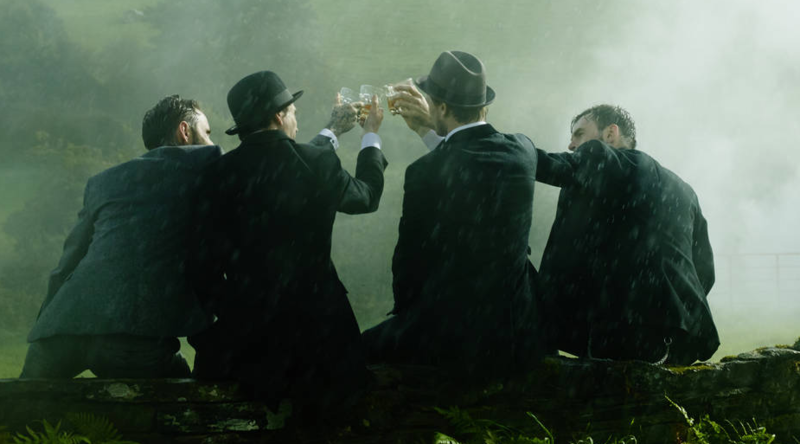 Toasting is a big part of Irish culture, it should speak from the heart and is meant to be shared with those most important to you. 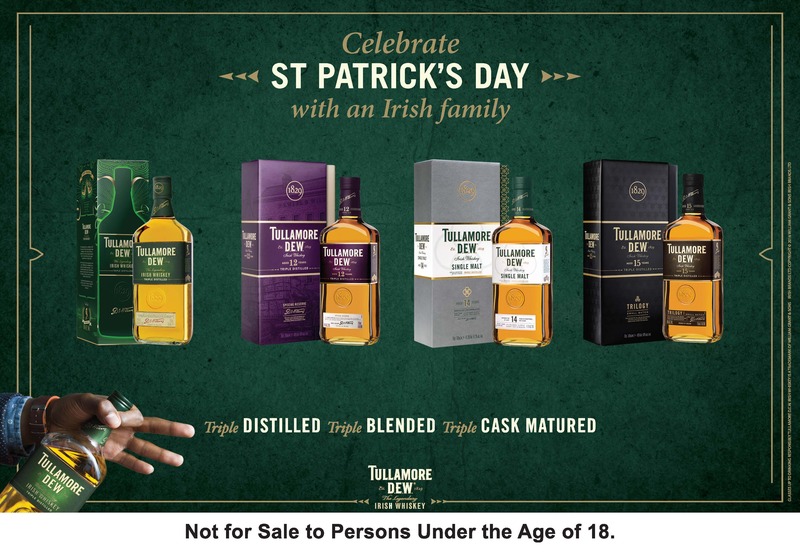 So, gather your mates, buy a round of Tullamore D.E.W., belt out your own toast or use ours below for St. Patrick’s Day. An Irish true St. Patrick’s Day experience is not just about the parades, but it’s also about Gaelic sport. Many Irish people will visit Croke Park in Dublin, which has been at the heart of Irish sporting life for over a hundred years and is the headquarters of the Gaelic Athletic Association (GAA). If you’re not lucky enough to be on a trip of a lifetime to Ireland over St. Patrick’s Day, you can still embrace the Irish True spirit by surprising your friends with tickets to your favourite band – as being Irish means you enjoy the good things in life. Traditional Irish music is at the heart of the Irish culture and history. In Ireland many pubs organise live music sessions. As well, there are often St. Patrick’s night ‘Ceilis’ in local town halls. If you can’t find any live music, throw a St. Patrick’s Day party your way. 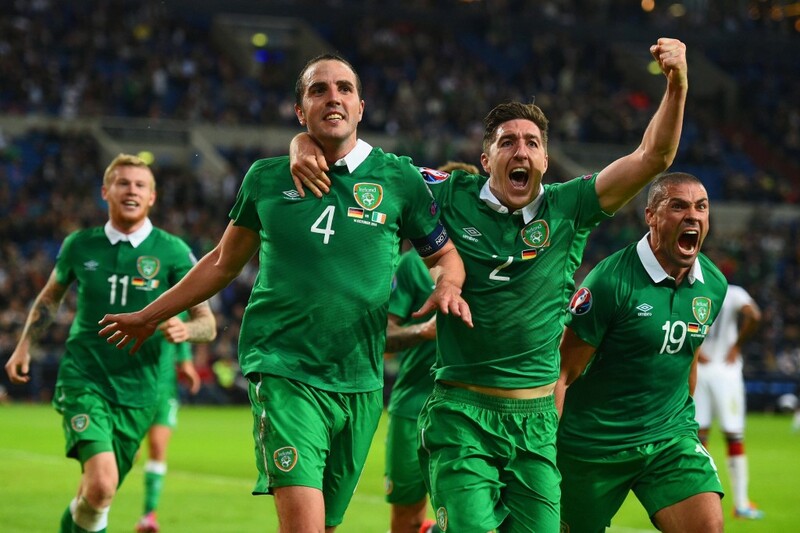 Create some Mayhem for all the Irish saints and for those whose hearts are never faint. Take over your entire street, tempt your neighbours, and pass around the Tullamore D.E.W. for a night of pure love and havoc. Here’s a little Ed Sheeran to inspire you – Galway Girl from his new album Divide. St. Patrick’s Day wouldn’t be authentic without a ‘drop of the hard stuff’. 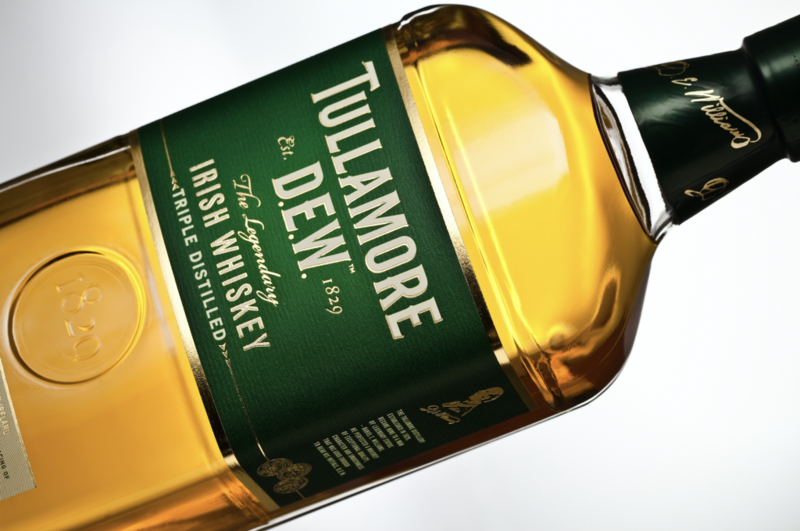 Take a leaf out of St. Patrick’s book, who in myth is said to have encouraged Irishmen to have a ‘drop of the hard stuff’, by enjoying a glass of Tullamore D.E.W.